The Italian Riviera (Liguria) is the weekend escape for Italians living in the big cities of Milan and Turin. During our ten years in Turin my family and I spent many summer weekends exploring the best beaches in Liguria. We still visit every summer. 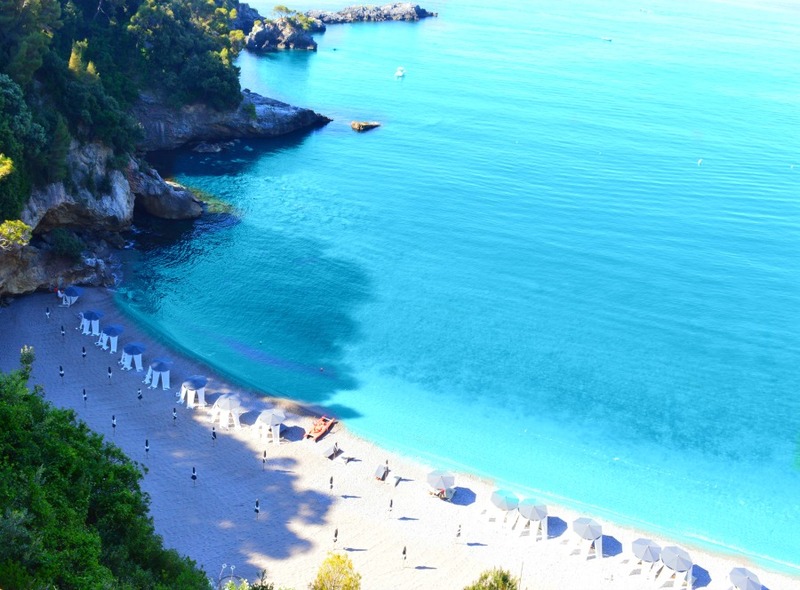 The beaches I feature here are, in our opinion, the four best beaches in Liguria. It was not easy to decide on a final four beaches! After much discussion, and with the very vocal opinions of my nine year old son William and the equally vocal opinions of my wife Maria taken into consideration, this is ourfinal list. The beaches are in no particular order for the simple reason that I like one best while the rest of the family likes another better. I hope you enjoy them as much as we have over the years! Before we hit the beaches I'd also like to share another great part of the Ligurian coast we love (click here for details). Then of course there's Portofino and the unforgettable Cinque Terre. 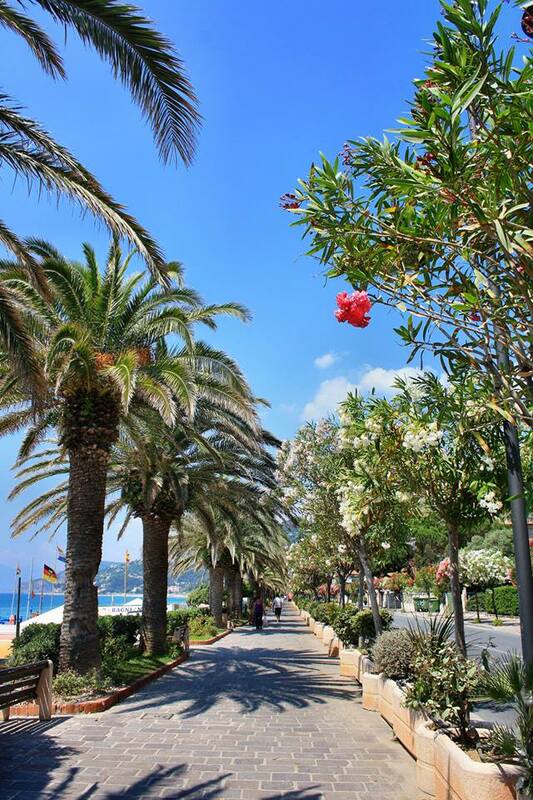 First on the list of the best beaches in Liguria is Finale Ligure, it's not only the beach that is great here but the town itself. Between sessions of lazing on the beach you can eat your self silly at the dozens of great pizzerie and ice cream shops (gelaterie). Most are to be found along the palm lined promenade right behind the beach so you don't need to walk far. If you do want to walk though I'd suggest you try the walk up the three hundred odd steps to Castle Wuillerman behind town for a great view. To get there head up via Torino until you reach a little garage and the steps begin to the left of the garage. The Finale main beach is one of the many blue flag beaches along this coast and it is a lovely long, very clean stretch of sand. The only thing I don’t like is that it is too crowded in July and August and you end up with the military rows of umbrellas and deck chairs, so loved by Italians, covering nearly all available sand. The solution.? Try the free beach! Located just before the tunnel you go through when entering Finale Ligure from the Savona side. Maria and my son consider the Finale Ligure beaches as the best beaches in Liguria however this is based not on the beach aesthetics alone but on the whole charming atmosphere of the town. If you would like to stay in Finale Ligure I would suggest you try to stay at one of the hotels along the beach front, the excellent Hotel Moroni would be my choice. Around six kilometers before you get to Finale Ligure you pass through a town called Varigotti, here is a beach that seems almost Sardinian in beauty. 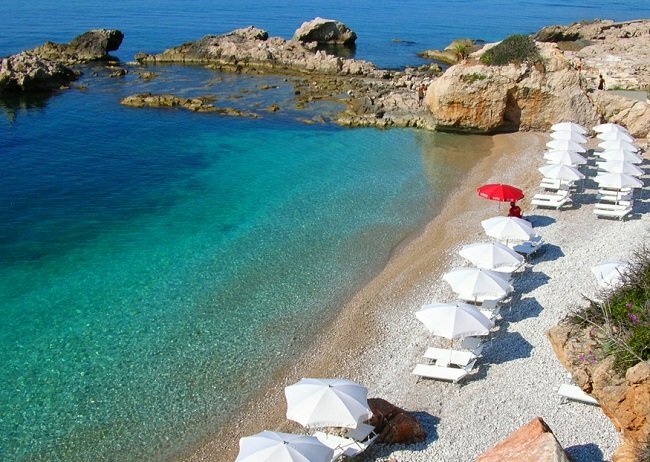 It is the Baia dei Saraceni, a crescent shaped beach lapped by a sea of ever changing turquoise and emarald shades. Definitely top of my list of the best beaches in Liguria. The beach is actually just before you get to Varigotti coming from the Savona direction, and is hemmed in by rocks and gorgeous wooded hills. The warm shallow waters are a delight to swim and snorkel in. 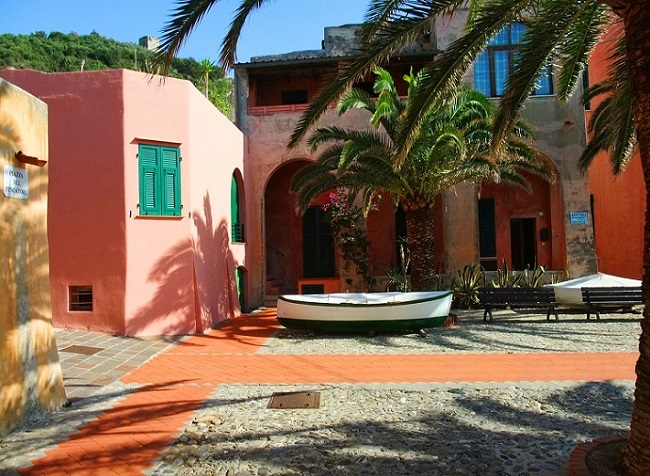 Varigotti itself is an idyllic little village of multi-hued fishermen’s cottages. Wander down the narrow lanes, passing fishing boats and funny little shops and winding your way through the maze of cottages; suddenly you find yourself right on the town’s lovely beach. The photos below show what to expect on the walk to the beach. If you don’t feel like making the trip to the Baia di Sareceni this beach should more than satisfy. In Varigotti we have always enjoyed staying at the Hotel Albatross, right in the heart of this magical little village with great sea views. The hotel is really helpful with everything from suggesting great walks through to organizing boat trips to explore the coastal beaches. Not one beach but more than half-a-dozen in and around the area. One of the best ones is this one in the photo, it's a short walk outside of Fiascherino in the direction of Lerici. One warning though, getting to most beaches in the area (including this one) involves climbing up and down lots of stairs. For more on the area click here. Unfortunately, the Balzi Rossi beach is run by a private company meaning that the best parts of the beach need to be paid for and being quite small it gets very crowded in July and August. Even so if you are in nearby Ventimiglia try to visit for a day, the beach setting is spectacularly beautiful and well sheltered from the wind. The people who run the beach do a good job and if you can afford to pay you certainly get value for money, you can enjoy sun-downers on your lounger and enjoy an excellent dinner on the beach. If you are the sort who never relaxes don't worry "Beach WiFi" is available! I love the sea here which is a splendid azure, crystal clear and perfect for snorkeling. Float out to sea on your back and enjoy the incredible view along the coast with forested cliffs rising shear up behind the beach itself. Balzi Rossi is four kilometers from Ventimiglia and right after you go through the last tunnel before the French border (see our map link at the bottom of this page for details). Park under the pines at the parking area just before the border and take a pleasant walk down to the beach. Around this part of the coast there are a lot of overpriced hotels with shocking service, your best option would be the Riserva di Castel d’Appia Hotel but you will need a car to explore. Having grown up in a country which loves surfing I find occasionally I enjoy a beach with decent waves, one where you can actually surf. Levanto is just such a place, the home of Italian surfing and blessed with one of the few beaches in Italy where you get decent waves and a sandy beach too. The beach is overlooked by forested hills and the charming town, behind the beach, is packed with great restaurants and prices aren't overly expensive either. Accommodation too is cheaper here than in the Cinque Terre and you get much more for your money, the hotel we choose in Levanto is the Oasi Hotel. 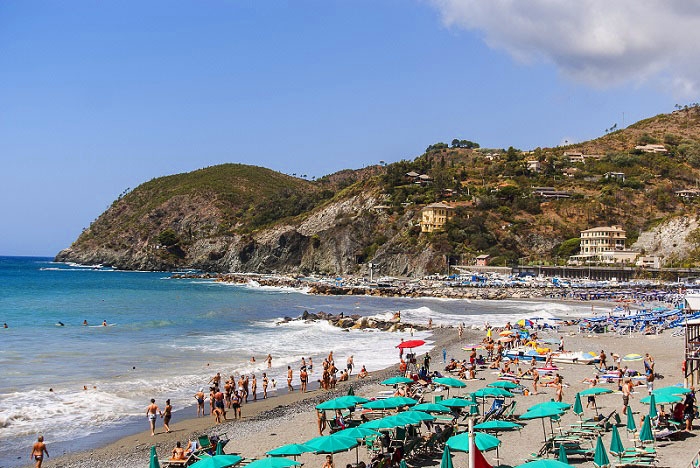 Being only a five minute train ride from the Cinque Terre, Levanto is the perfect base to explore these villages and return in the late afternoon for a few hours on a beach without the crowds and inflated prices of the Cinque Terre. For my guide to Cinque Terre click here. Another incredible town on the Ligurian/Italian Riviera is Portofino. Read about it and check out the photos here. Click here for my best Costa Smeralda beaches series. 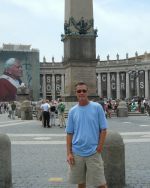 For other great insider tips on My Italy please sign up for our free monthly e-zine.